Calanova Golf Club is a great 18 hole par 72 new course located in Mijas, in the New Golf Valley in Malaga. 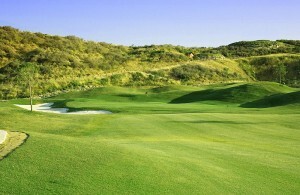 The course with an exquisite and spectacular layout, enables the player to use the strategy Turing the whole round. The course reminds to a links in someholes, with the best views of the sea and the mountains in the whole of the Costa del Sol. The Club is part of the Aymerich Golf Club Platinum Programme. This Programme allows Calanova members to play as members in all the courses that Aymerich manages throughout Spain and France. The Golf Academy is leaded by Monty Bordelon, PGA Pro of America. Monty played the Tour for three years and he has over fi fteen years of experience in golf tuitition for all levels. Monty was the Head Pro of some of the most prestigious golf clubs in Orlando, Florida. Now there is a 300 m2 temporary Club House to cover all the basics ervices: restaurant with a very nice terrace overlooking the sea and themountains of Mijas, Pro Shop, Changing rooms, Caddy Master and offices. 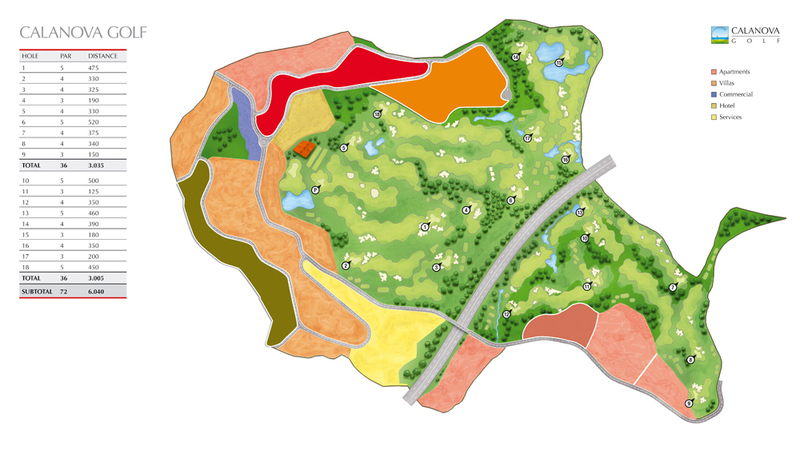 The Club Housewill be of an Andalucian stlye and will cover an area of 1,100 m2. Within this space we will have areas exclusively for members only, as well as a luxurious retaurant, café with an impressive terrace looking over the sea and putting green. There will also be a receptionarea, offi ces, spacious changingrooms, storage areas for members golf clubs and buggies, as well as a Pro Shop stocked with the best quality products.